Hopefully this (and Knack and DS4) are available when my sister is in Florida starting next week. VSA is correct. But the sentence is missing an "and" between the two factions. 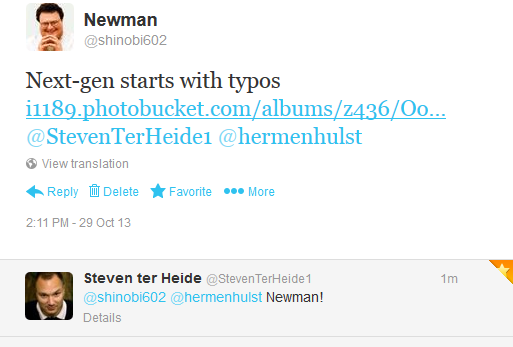 Yeah, I saw that and edited my earlier post. Lol. Nah, breh. Local bro-op is dead, let's be real. Don't think so. Would be cool, but it seems unlikely. But it would be really cool. Local support at the very start of the gen is what we need. Tempted to order, but the shipping cost to Europe is crazy high and only one option available. Hopefully it will be released "officially" soon so I can order elsewhere. I'm only missing one thing. Bring on Next-Gen! It's missing knack, right? It's knack. What do I win? Is it knack? Please say its knack! The stand I would guess! 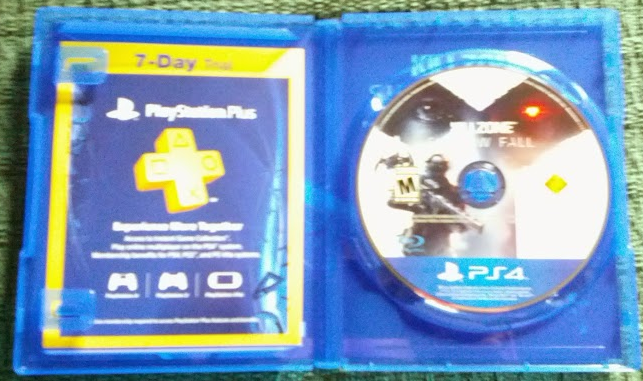 A ps+ subscription so he can play multiplayer in killzone. 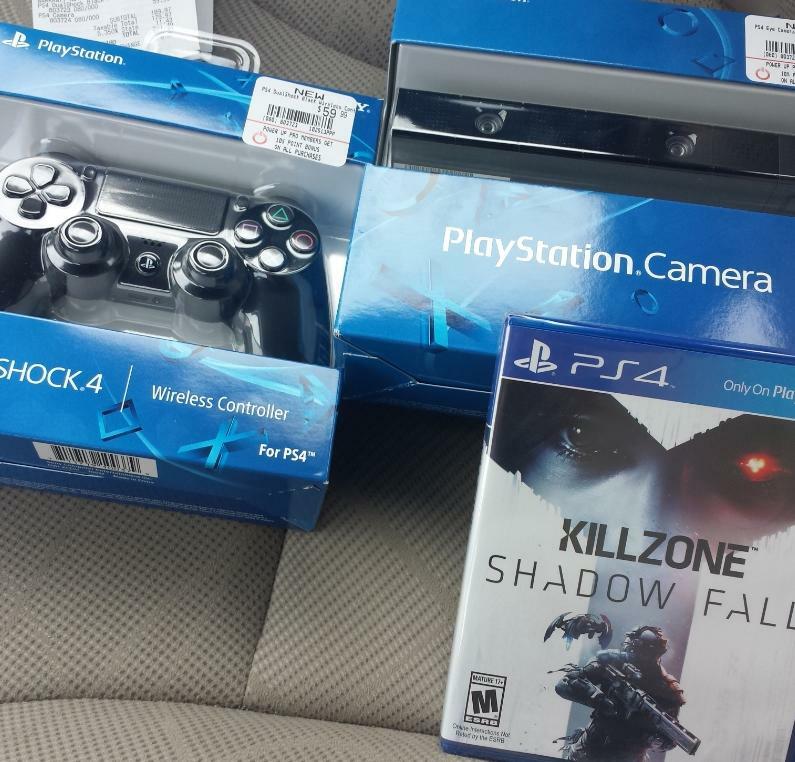 I just got a call from my local Gamestop that Killzone SF had just arrived and they were clear to begin sales. I asked if the 48 hour hold rule started today or not until the official launch date of November 15. He said that was a good question and he would check with his manager. He did mention that they were expecting regular shipments so if I wanted to hold off until closer to release day that wouldn't be a problem. 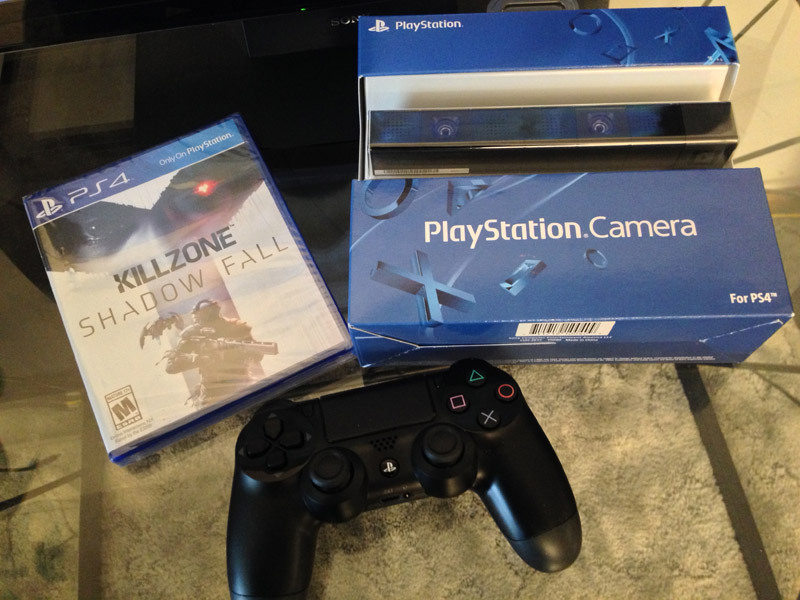 I already picked up my Dualshock 4 and PS Camera but I am mulling over the Killzone purchase. However, after seeing the first wave of cross gen tittles, especially Battlefield falling in the good to great category I'm kind of hungry for a title built from the ground up for next generation hardware. Just realized by November 15th at midnight, I'll have everything BUT the actual console. Killzone shipping now, Knack has already been spotted on shelves, BF4 comes out the 12th and NBA2K will probably be out early too. yeah, I had got a text to come pick it up. Damn man my hype levels could explode at any moment and there are still two more weeks to go. Posting that is dangerous! Toys r Us bumped my ship date up to Nov 8. So Id expect early release from them. This has got to be helping with their shipping backlog and even helping stores space their next gen release crowds a little...at least speed up pickups on the 15th. You got two weeks to wait? by the time the 29th rolls around in the UK I'll be a drooling quivering mess in the corner of the room. Wait is killing me. lol. Hm, I hope Amazon ships it early. I would just pick it up at GameStop, but if I did that I think I'd lose my pre-order bonuses? Makes me wonder though. Couldn't Sony just break the street date? I mean, the accessories are out, the games are coming out, and the Day 1 update is already out on their servers. A few GAF insiders thought they might launch late October and these early releases are making me feel like they could have, but decided to give themselves a cushion to get the Network troubleshooted. Imagine if they said " F it. November 5 U.S. and 15th Europe." I wouldn't give a damn about multiplayer being a hot mess for a few days after getting my box. Sales would blow up. *sigh* Local co-op (or versus) isn't quite dead, but it is now relegated to indies in PS4, and the Wii U.
Strangely, it was the 3D gaming fad that forced some devs to implement the tech needed for split screen again, which is why KZ3 had local co-op. Nah my friend, PSN for the PS4 is not up and running fully yet, Sony still working on it. If they did decide to release for October it could have been a disaster like Microsofts reported OS troubles. Rushing it out is best for no one. It's frustrating but I'd rather wait and have a more stable machine. Even then we're not guaranteed everything will work smoothly on launch. Whelp, I guess it's cold showers and booze as I watch 20 countdown timers tick off on my wall. For those that picked it up, did your stores have a lot of copies? Wondering if I can just come and and pick one up without a reservation. yes, and they said expect others early as well, including Knack on the 2nd of the month. OP should have title Mod'ed to reflect everything being sold at retail currently. Fuuuuuu, it's like when you really have to go the bathroom and the closer you get to the washrooms the more unbearable the waiting gets. I'm curious if Amazon will ship them out as well.... 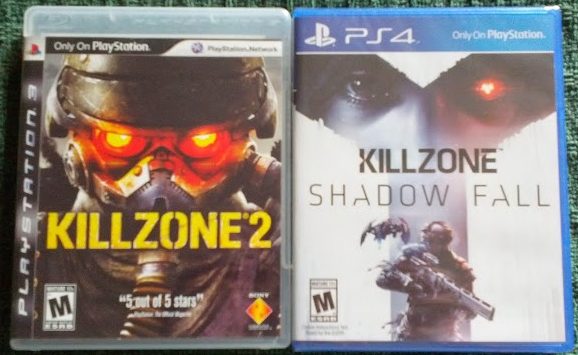 I do not have prime so I paid the 2day shipping cost which was around $10 to get Killzone and Ghosts release date delivery. If they did ship, I'd have to call them up and see if they will reimburse the shipping charge because I'd much rather take the free super saver 5-8 days since it's still over two weeks till launch. Love the blue case, especially that the jacket goes top to bottom without the weird "header" that Sony had on there last gen.
Can we just walk into a GameStop and buy it if we didn't pre-order? 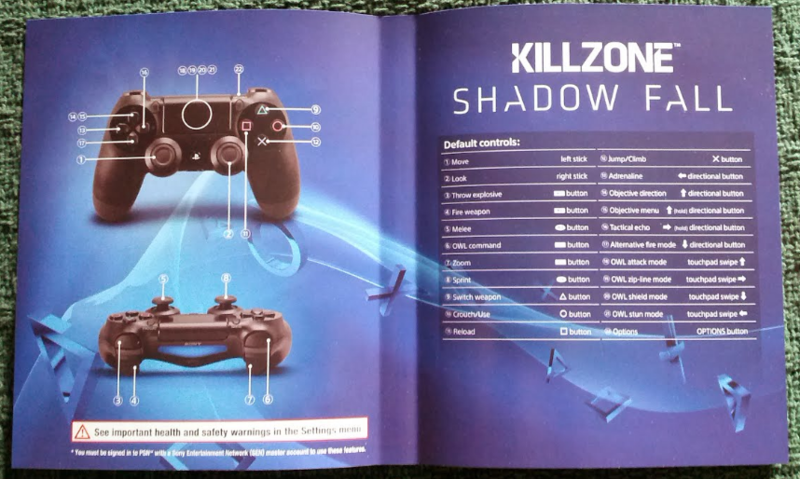 I pre ordered killzone, and the store availability page says that my store has it in stock, so am I good to go? And does the 48 rules apply here too? I didn't get a call from gamestop like I usually do. My amazon order lists shipping date as the 31st of this month, but it hasn't gone into processing yet. Any news about GS germany? You are rude shin they can just patch that out! 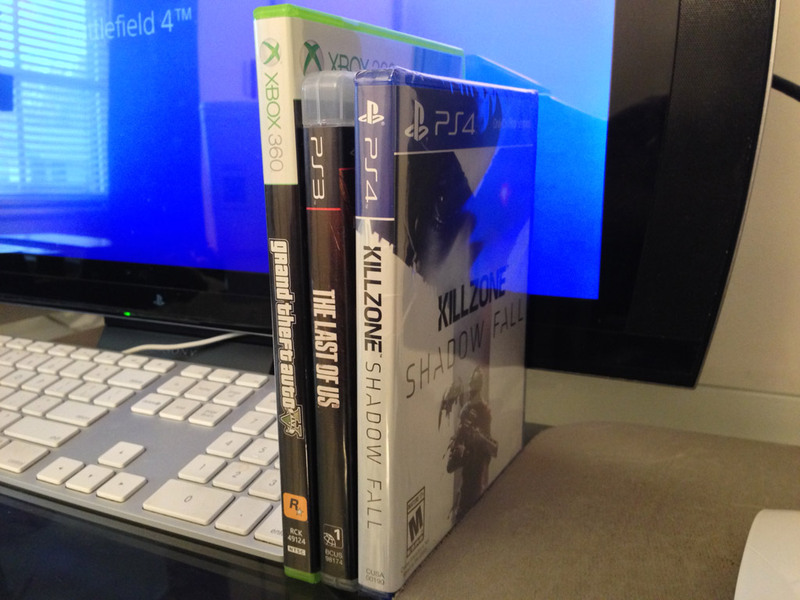 Killzone looks great with the PS4 case design. It's been a tragic few months. All we really had to go off was the fact that there is a shiny (or not so shiny) black box. There were no games, just lights and plugs and cables. And a camera that no one will ever use. But that's okay now. We've gone through the dark tunnel of having nothing and come out the other side. The next generation has started now. PS4, finally, has a game. Thank you Guerilla. You have single handedly saved a PS4. You should be proud. Nobody loves you Knack. Even though you were there first. I'm sorry. I am curious about the camera. My gal wants Just Dance and I wonder how the tech is in that thing is.